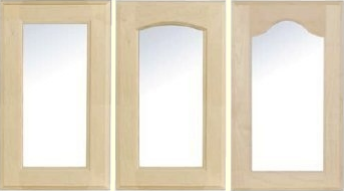 Unfinished Kitchen Cabinets: Mullions and Glass Doors? 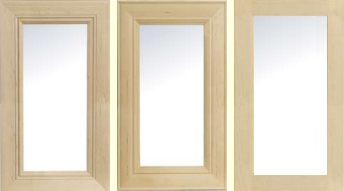 Mullion doors and single pane (frame only) glass doors are available as an option during cabinet selection on most styles, only Mittered and Mission doors cannot have mullions. When you select the cabinet you want mullion or glass doors on, simply choose from the drop-down menu to see if this feature is available. 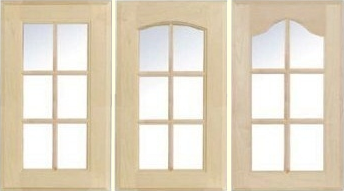 Mullion doors add beauty and interest!